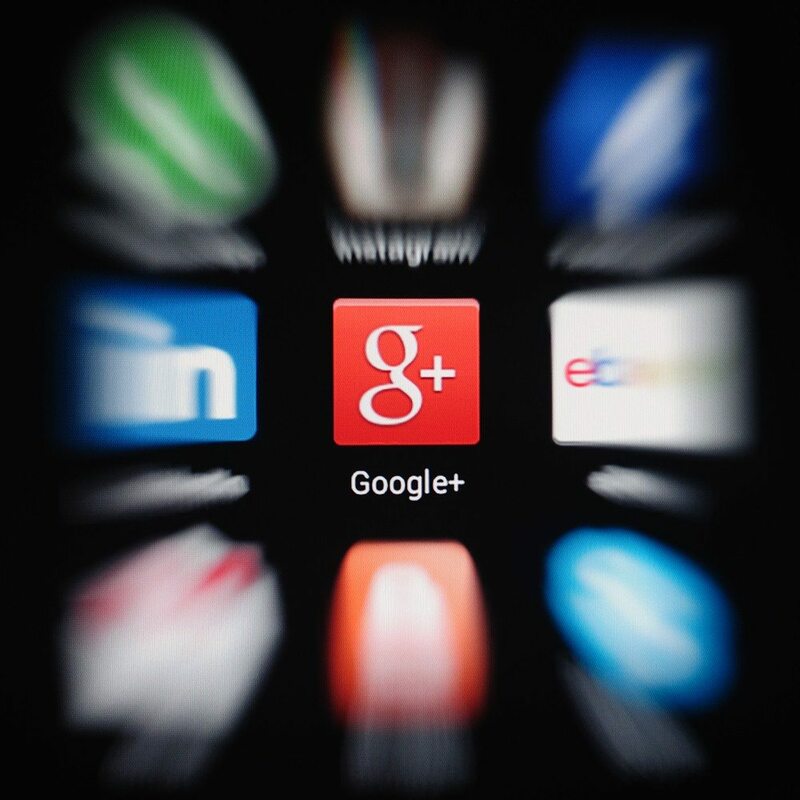 Google Plus is not only a social network, but also a powerful social platform. From hangouts and communities to social signals, Google Plus is a virtual wonderland of opportunity for the marketing-minded real estate professional. If you haven’t spent much time investigating Google Plus, now is a perfect opportunity to dominate your local market through the power of the social network tied to the largest search engine. With more than 500 million registered users now on Google Plus, investing time into this social giant is well worth the effort. While many argue that Google Plus compared to Facebook is a ghost town, the reality is that it’s home to an active and vibrant community. A community that when tapped into can help spread your message and content like wildfire. Lets add the gasoline to your social media firestorm! Below are six key steps to take to extend your reach through Google Plus. With the help of Google Plus, real estate professionals can connect with a defined target market. Whether you’re interested in connecting with buyers, sellers or prospective agents, Google Plus can help you identify where they are spending their time. 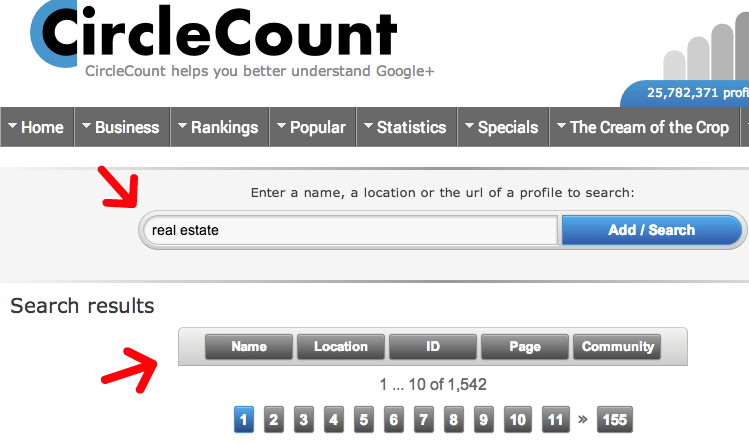 Use a tool like CircleCount to search based on keyword, name, location, page or community. Sharing or posting content is not enough if you want to develop deep and meaningful relationships with your followers. You must get involved in the conversation. Interact by making comments on other people’s posts, asking questions, as well as adding your perspective or opinion to existing conversations. Not only will this raise awareness around you and your business, but it will also begin to establish relationships within the Google Plus community. Adding your thoughts, feedback and wisdom around your skill set will go a long way in establishing authority and credibility on Google Plus. Google Plus Hangouts, similar to Skype or Facetime, are virtual gold mines for your business. While they’ve been around for a while, many real estate professionals are still confused as to how to use them. A weekly status update with buyers and sellers. A virtual walk-through of a home highlighting particular features. An easy way to share a weekly tip with your community of followers. Team meetings that include virtual employees. A way to introduce team members to new clients. Creating a Hangout is incredibly easy. Within a matter of minutes, you’ll be connected and engaging with potential or current buyers and sellers. 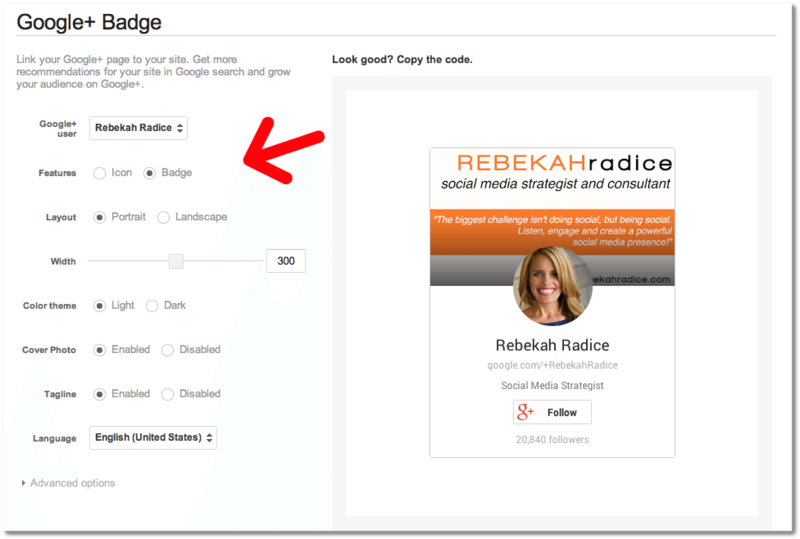 Use the Google Plus badge to connect readers to your profile or page. Badges enable visitors to easily find and engage with you in a simple mouse click. Creating yours is simple. Navigate to the developers page, grab the code, and add it to your website or blog. One of the most effective Google Plus tools is Google Circles. Think of circles as an easy way to create and manage conversation around specific interests. For example, you’re a dog lover and want to connect other like-minded individuals who are actively talking about pet care. You could add these people to a circle called “pet lovers” and then share relevant content directly with that group. Use circles to keep current relationships lively and build new relationships purposefully. As a local real estate professional, you cannot ignore the power of Google Plus Local. Your core focus should be to encourage reviews. To do this, you want to add as much context around your business as possible. Add information and photos to your “Place,” along with your keywords and links to your website, blog or other online properties.